This is Ranger Roy! He’s a 2 year old Terrier Mix that has energy to spare! A smart boy who knows how to sit and lay down for treats, this big pup is extremely trainable. Ranger Roy doesn’t know his own strength, so his future owner should be someone who can handle that. Is he the perfect fit for your home? 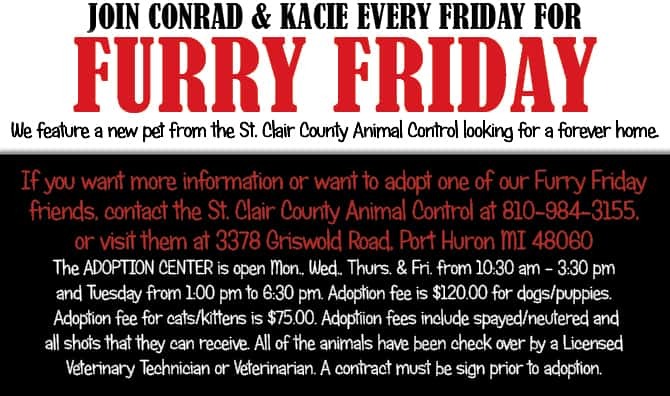 Go adopt from the St Clair County Sheriff’s Animal Control today by clicking HERE, thanks to Jones Equipment Rental Sales and Service!